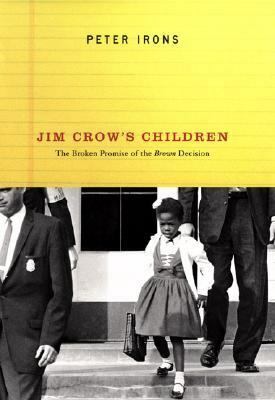 "In JIM CROW'S CHILDREN, Peter Irons...does an able job of retracing both the long legal crusade that led to the historic decision and its disappointing aftermath....The final chapters of Irons's book make for dispiriting reading. The story of the Supreme Court retreat from racial justice is far less inspiring than the story of the N.A.A.C.P. 's crusade to end Jim Crow. And Irons's statistic-laden summary of racial inequities that currently plague American education is not nearly as readable as his lucid account of courtroom dramas that led to Brown.Irons, Peter H. is the author of 'Jim Crow's Children The Broken Promise of the Brown Decision' with ISBN 9780670889181 and ISBN 0670889180.